A box of the Bard. Heaps of funny drama, with Tony Ross’s cheeky pictures all the way through. Expect all the intrigue, humour and excitement of the original plays, in brand-new funny stories full of gags and cheeky artwork. (You can see that Tony Ross had heaps of fun drawing Shakey’s famous characters.) 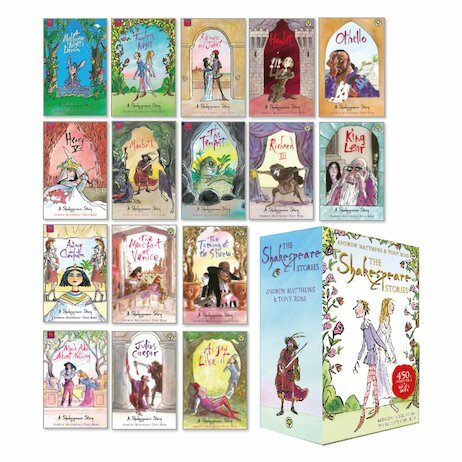 All supplied in a handsome box set to dress up your bookshelf. What’s not to like?